This topic has been weighing heavy on my heart this week. On Wednesday I made the post below about some recent statements made by Doreen Virtue with regards to new age practices. This post received A LOT of wonderful feedback and opened up deep conversations. 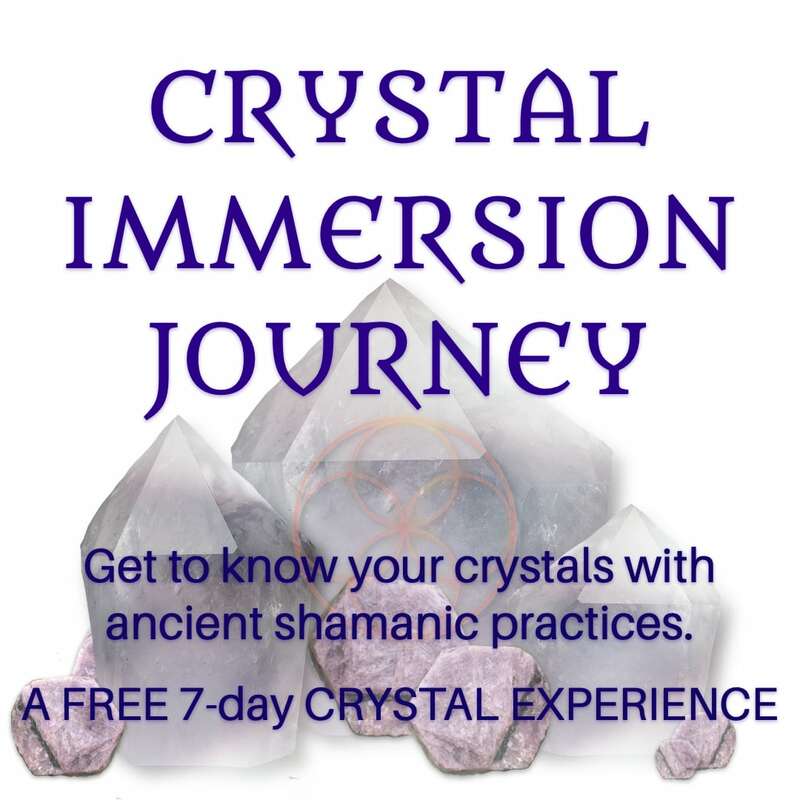 I decided to talk about this a bit further in this episode of Crystal Shaman Life Podcast. You can find both the fb post and the podcast episode below. I would love to hear what her statements are opening up for you. Please share them in the comments below. I was awakened a little after 5 this morning as a text popped in from a dear friend sharing this link. I was stunned last year when Doreen renounced her ‘New Age Practices’, left her career as a writer of oracle cards, training angel readers and mediums to become born again. I get that she may feel called to a different path. I get that she may feel a connection with Jesus that she didn’t feel before. Actually, I celebrate that. I celebrate ALL who find a spiritual relationship that is meaningful and fulfilling. I do not see the ‘new age’ world as she describes. Nor do I see any of the sacred practices from shamanism to oracle cards, divination, sacred geometry, spirit guides, drumming, angels and all other sacred practices through the lens described here. This is a time for unification. It is a time to seek commonality. It is a time to open our hearts to each other. It is a time to discover and uncover truth. This article is not truth. This article is incredibly misleading. And Doreen’s willingness to speak with authority in this way deeply saddens me. I believe in fairies. I believe in angels. I believe that the sound of my drum connects me with a Universal rhythm. I believe my drum connects me with the Divine, one true Source that is beyond any name or single identity. A Source that is so vast our full perception of it is inconceivable and it is only through our willingness to recognize the many expressions of Divinity present in all of life that we can even begin to fathom God’s greatness . . . a greatness so immense I will not dismiss the possibility that there is intelligent life beyond humanity. I will not dismiss the ways the Divine expresses himself/herself through the trees, the crystals, the animals, the seasons, the weather, the angels, the fairies, the unicorns, the ascended masters (including Jesus), the oracle cards, the tarot, the bells, sacred geometry, sacred art, and so much more.